Posted Apr. 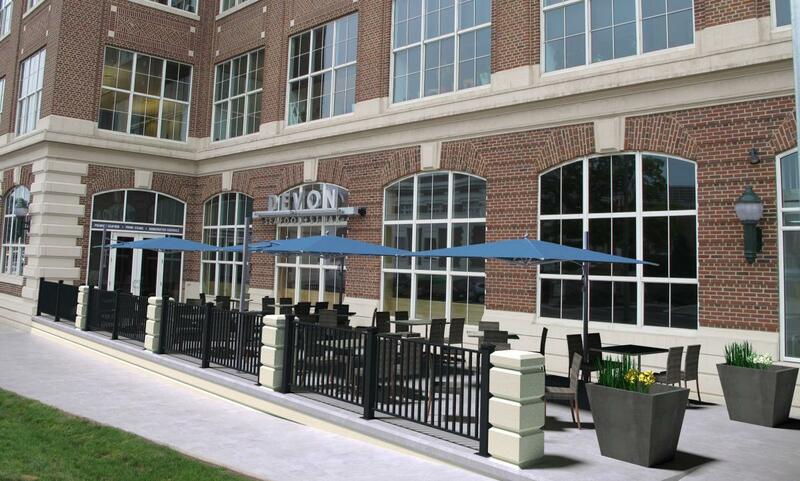 17, 2019: Devon Seafood + Steak in downtown Hershey will provide guests with an enhanced view from the new outdoor dining area located along Park Avenue. 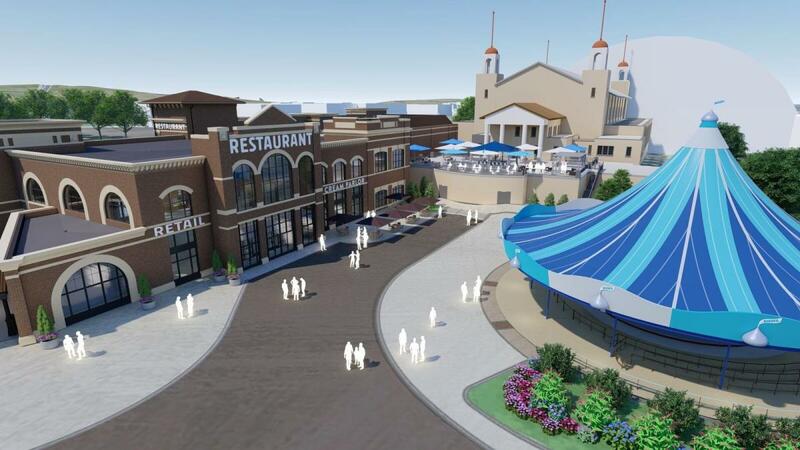 Slated to open in early May 2019, this new patio area will provide guests with scenic views of iconic Hershey landmarks, including the Kissing Tower attraction at Hersheypark, Hershey’s Kisses-shaped street lights and the Hershey smokestacks. The estimated cost for the project according to the company&apos;s press release was $275,000. Above: Rendering of new patio area provided by Hershey Entertainment & Resorts (2019). Guests can access the patio through the bar area of the restaurant upon entering through the restaurant lobby. Hours of Operation: Check the restaurant&apos;s website for hours of operation - Patio hours will mirror the restaurant’s schedule. Free Parking available at garage located at 27 West Chocolate Avenue in Hershey. Posted Feb. 13, 2019: Pennlive.com today posted a list of new hotels for the region including the following in PA&apos;s Hershey & Harrisburg Region. 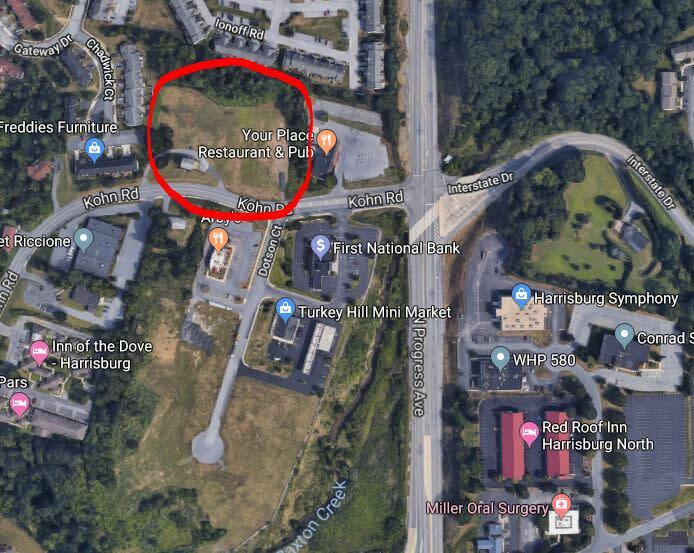 This 112-room hotel locted only 1-mile from downtown Hershey at 204 Hillcrest Road is slated to open September 2019. 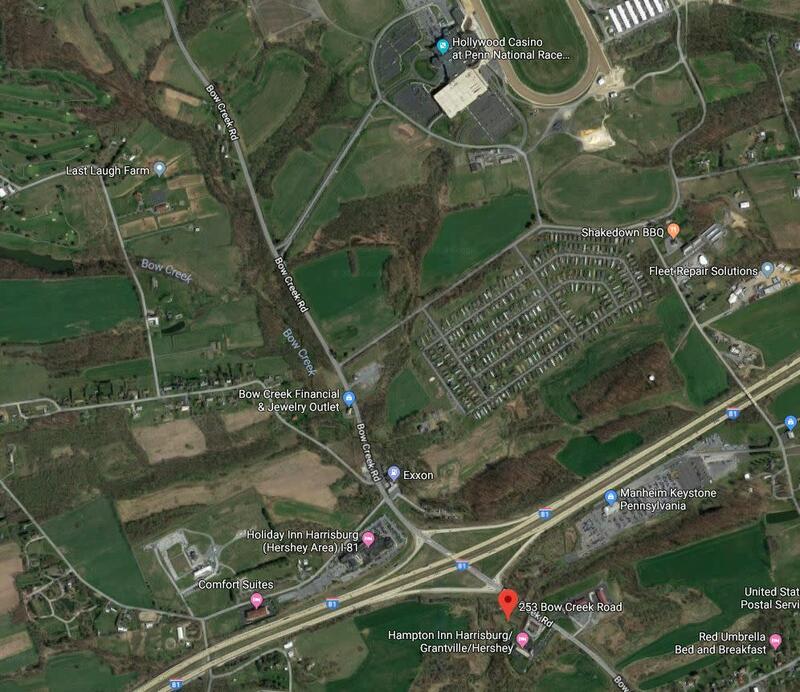 This 92-room hotel expected to open at 253 Bow Creek Road in the Hershey & Harrisburg Region in 2020 will be conveniently located to I-81 and just 1.4 miles from Hollywood Casino at Penn National Race Course. 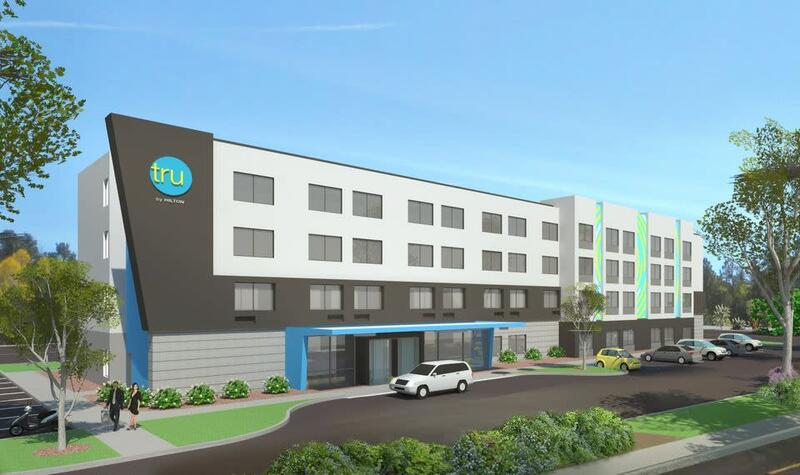 About Tru by Hilton: This is a relatively new brand for Hilton with only two Tru By Hilton hotels in PA prior to the announcement of the two properties in the Hershey & Harrisburg Region, according to the Tru by Hilton website. Hilton unveiled the Tru by Hilton brand in 2016 and Tru by Hilton’s features include: The Play Zone filled with table games; a large-screen TV and tiered, stadium-inspired seating; a 24/7 market offering snacks and refreshments; a complimentary breakfast; a fitness center; mobile check-in and more. Construction began on the five-story, 107-room hotel located at The Shoppes at Susquehanna Marketplace at 40 Brindle Drive in Harrisburg area in October 2018 and is expected to open in early 2020. 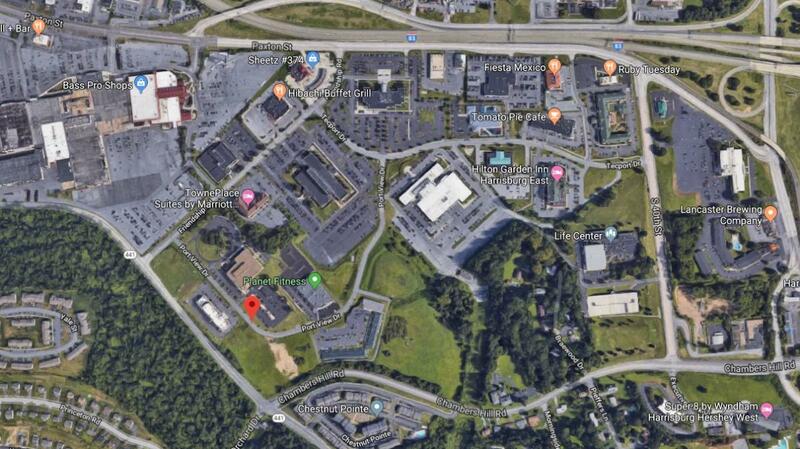 This 103-room hotel will be built on a vacant lot on Port View Drive in the Tecport Business Park near Bass Pro Shops in the Harrisburg area with an opening slated for 2021. 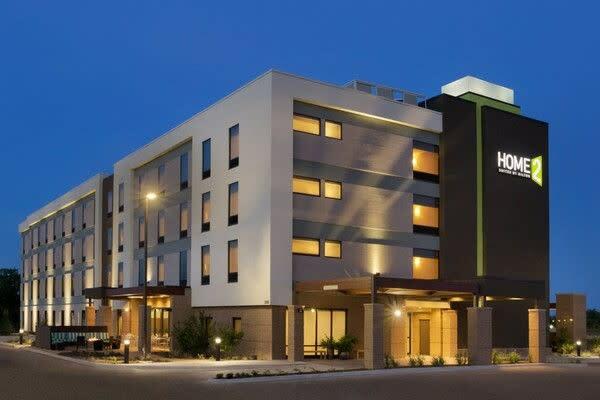 About Home2 Suites by Hilton: This “extended stay” brand was established in 2008 and its first property opened in 2011. Home2 Suites by Hilton hotels cater to families and is pet friendly, and typically have a swimming pool, a Spin2Cycle area (a laundry and fitness facility), a business center, Home2 Mkt 24/7 on-site store, patio with grills, and rooms feature full-size refrigerator, a microwave, a dishwasher and plates. This new property is being built on Kohn Road in the Harrisburg area just off of I-81 and 4.5 miles from the city of Harrisburg and 15 miles from Hershey. 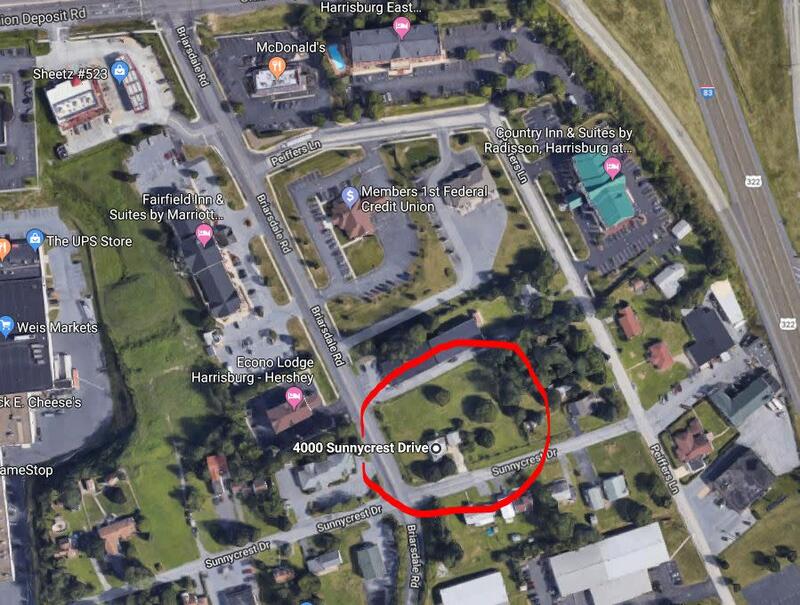 This new property will have a reported 50 rooms when it opens off of I-83 at 4000 Sunnycrest Drive in Harrisburg in March 2019. 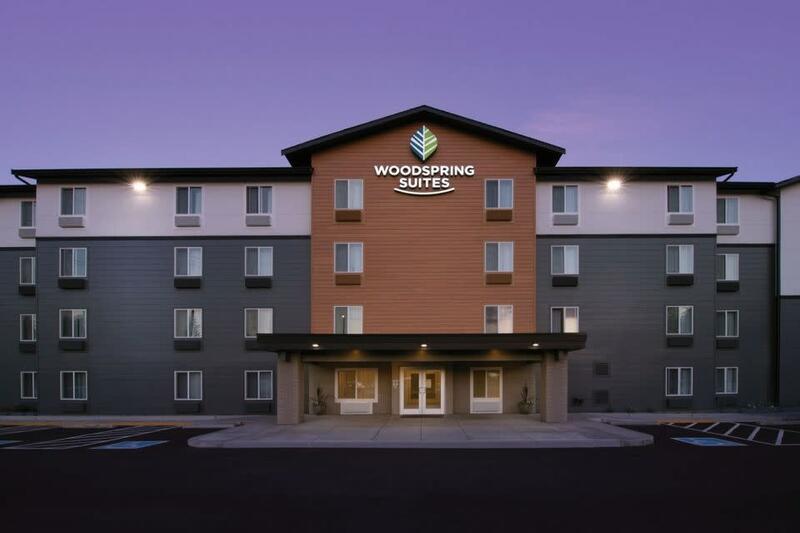 This 124-room hotel located at 6235 Chelton Ave. in the Harrisburg area opened on Feb. 12, 2019. Updated Mar. 18, 2019: Construction update for Hershey&apos;s Chocolatetown project posted today by Hershey Entertainment & Resorts. 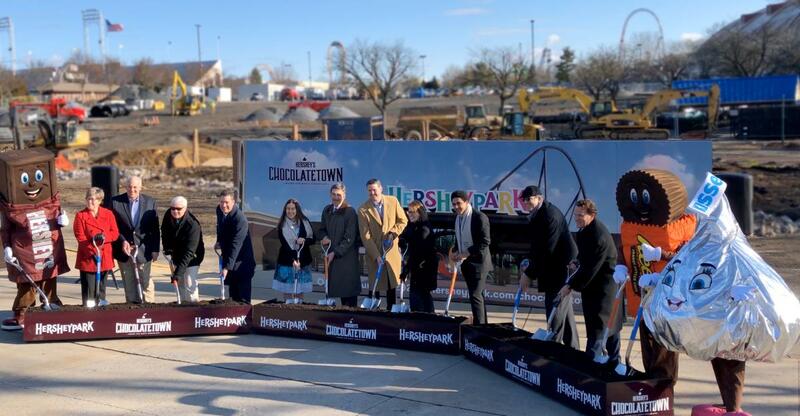 Posted Jan. 9, 2019: Representatives of Hershey Entertainment & Resorts were joined by local officials and special guests today for the official ground breaking ceremony to begin their $150 million Hershey’s Chocolatetown expansion project slated to open in Summer 2020. The project represents the largest capital investment and most transformative expansion in Hershey Entertainment & Resorts’ history, according to the company&apos;s press release. The dramatic transformation of the park&apos;s primary entry-point will provide guests with more opportunities to eat and shop while also reconfiguring the entrance to better accommodate season pass holders and guests staying at Hershey Resort properties. The expansion project will also introduce the park&apos;s newest, tallest, and longest coaster (#15 for those who are counting). Get the latest project updates, videos, interactive maps, and artist renderings on the project&apos;s dedicated website. ABOVE (L-R): Hershey&apos;s Bar; Derry Township Supervisor Susan Cort; Derry Township Supervisor Matthew Weir; Derry Township Supervisor Richard Zmuda; Representative Tom Mehaffie; Milton Hershey School student Valerie Heydeman; Executive Director of The Hershey Foundation Don Papson; Hershey Entertainment & Resorts CEO John Lawn; Vice President, Hershey Experience, The Hershey Company Suzanne Jones; Milton Hershey School student Gavin Meyers; Senator John DiSanto; Derry Township Supervisor Justin Engle; Reese&apos;s and Kiss. Posted Dec. 7, 2018: The PA Dept. of Agriculture today announced the American supermarket chain Giant has purchased the naming rights for the 172,000-square-foot Expo Hall at the PA Farm Show Complex & Expo Center complex in Harrisburg. Under the three-year agreement to rename the venue Giant Expo Hall, the locally-based company will pay the complex $150,000 per year with an option to renew for an additional 2-years at $175,000 per year. The expo space is home to major events including state and local youth sports tournaments and national events such as Mecum Auctions which is televised annually on NBCSN. The previous naming sponsor by Weiss Markets. Details about what specific improvements the money will fund have not been released, according to Shannon Powers, spokeswoman for the PA Department of Agriculture. Giant Food Stores, LLC (aka Giant-Carlisle) is headquartered in Carlisle, PA and operates stores in PA, MD, VA, and WV under the brand names Giant and Martin&apos;s according to its Wikipedia site. Posted Nov. 23, 2018: In celebration of the 71st anniversary of Koziar&apos;s Christmas Village, the Bernville Post Office is offering holiday pictorial postmarks and stamps on three Fridays in December. The pictorial postmarks and stamp event will be held at Christmas Village located at 782 Christmas Village Road on Dec. 1, 8 and 15, 2018. Pictorial postmarks are considered collector items. Only items bearing uncancelled postage stamps at the applicable first-class mail rate are eligible for postmarking. Posted Nov. 17, 2018: Months after the U.S. Supreme Court overturned the federal ban on sports betting, Pennsylvania is now the seventh state to officially start accepting wagers on sports. Hollywood Casino was the first to open, launching The Sportsbook at Hollywood Casino Penn National in Grantville, PA on Nov. 17, 2018. Posted Nov. 8, 2018: According to a press release issued by Harrisburg International Airport (HIA), travel at the airport during the 2018 summer season (June-Sept) marks the busiest travel season at the airport since 2014. Officials with HIA reported 453,795 passengers used the airport during that time period, representing a 16% increase over summer 2017. The increase was partially due to Frontier’s new service to Denver and Orlando which officials believe generated 25% of the summer&apos;s growth along with standard routes provided by American, United, and Allegiant, which have all served the central Pennsylvania airport for many years. Posted Nov. 7, 2018: According to a press release issued by Hershey Entertainment & Resorts, The Hotel Hershey was awarded "Best Historic Resort" in 2018 by Historic Hotels of America, Historic Hotels Worldwide. The Hotel was selected from six nominated properties for the award, which is presented annually to an historic resort that best celebrates its history in the guest experience and provides exceptional customer hospitality and service. Award recipients were selected from nominations received from historic hotels, historic preservation supporters, prior award recipients and leadership from Historic Hotels of America and Historic Hotels Worldwide. Posted Oct. 25, 2018: The PA Restaurant & Lodging Association (PRLA) presented Hershey Entertainment & Resorts (HE&R) with three (3) top industry awards during the annual PRLA Awards Gala on Monday, Oct. 22, 2018. Brian Dailey was selected from a group of four nominees as the PRLA Spirit of Hospitality Manager of the Year. Dailey is the GM of the Downtown Restaurant Group which includes Houlihan’s Restaurant + Bar, Devon Seafood + Steak and Cocoa Beanery. Houlihan’s and Devon restaurants were also named Excellence in Food Safety winners for 2018. This marks the fourth year HE&R has won the Excellence in Food Safety Award with Hershey Lodge (2017), GIANT Center (2007), and The Hotel Hershey (2006). The award recognizes facilities that put in extra effort to meet and exceed food safety standards. 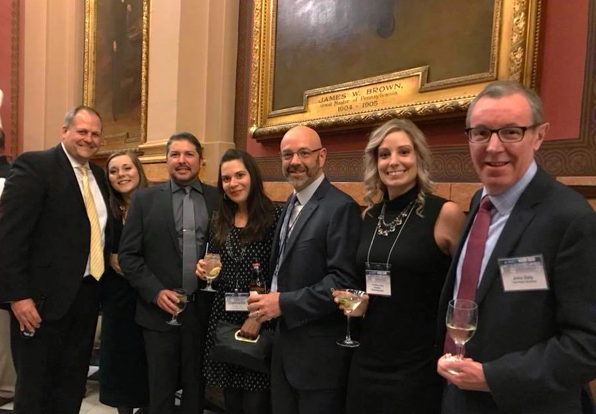 (Pictured L-R): Ned Graff, Felicia McCorkle, Todd Tuttle, Danielle Short, Brian Dailey, Christine Kelly, John Daly representing HE&R at the 2018 PRLA Awards Gala held at the Masonic Temple in Philadelphia. Posted Oct. 23, 2018: The Hotel Hershey announced today the appointment of David Yeo as executive chef. Yeo will oversee the culinary operation of the entire property including its three full-service restaurants, coffee shop, room service, banquet and event space, spa restaurant and seasonal poolside café. The Hotel Hershey, a Historic Hotel of America, has earned both the Forbes Four-Star Award and the AAA Four-Diamond Award distinctions for several consecutive years. Yeo, a native of Malaysia and fluent in multiple languages, joins The Hotel Hershey from The Mandarin Group in Seattle where he served as principal consultant. His focuses included working globally with Fortune 500 companies and acting as beef advisor, while exporting U.S. Beef to China and working with the U.S Meat Export Federation. According to the press release issued by HE&R, Yeo’s robust resume includes more than 35 years of culinary experience in Asia, Europe and United States. 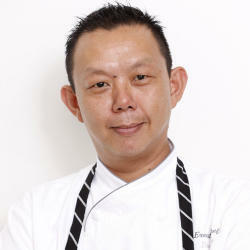 His cuisine proficiency runs the gamut and includes French, Italian, Asian, Mexican, Japanese and American Regional. Yeo is also a former national president for the Professional Chefs Association of America and continues to be active in Les Amis d’Escoffier Society of Chicago, American Culinary Federation, American Beef Council, Seafood Watch and California Farmer’s Market Council. Posted Oct. 19, 2018: On Oct. 17, 2018, the PA House concurred in Senate amendments with a vote of 137-44 to send HB 1511, sponsored by Rep. Marguerite Quinn (R, Bucks) to Governor Tom Wolf for his signature. The Governor plans to sign the bill and has 10 days to do so, according to a news advisory issued by the PA Restaurant & Lodging Association (PRLA). The bill passed the Senate on Oct. 17 with a broad bipartisan vote of 43-6. This legislation requires online travel companies (OTCs) such as Expedia, Orbitz and Travelocity to remit state and county hotel tax on the retail rate of the room, as in-state hotels have been doing all along. By closing this loophole, the state will realize $23.8 million in additional revenue which will be dedicated to the statewide tourism office for statewide tourism promotion. Posted Oct. 8, 2018: The Brewers of Pennsylvania Guild (BOP) announced a new, free location-based Digital Ale Trail App available on iTunes and Google Play to help beer enthusiasts find their favorite brews in PA. An integrated passport program allows users to earn rewards and prizes and the system will make beer suggestions based on previous check-in activity. There is also a photo booth function and social media integration according to the BOP. 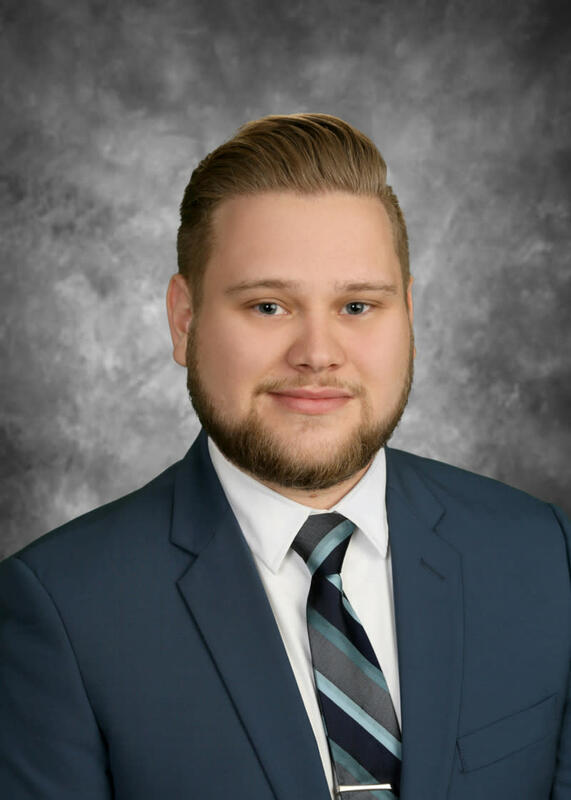 Posted Oct. 3, 2018: Justin Roth has joined Capital City Mall as Marketing Manager, responsible for the development and implementation of mall marketing programs, managing the property’s website and social media platforms, the execution of community based programs, visual merchandising, and retailer, community and media relations. Prior to joining Capital City Mall, Roth served as the Marketing & Communications Manager for the Harrisburg Regional Chamber & CREDC, where his experience ranged from event planning and marketing to graphic design and photography. Capital City Mall is a premiere shopping and family destination in the Harrisburg region featuring an array of first-to-market and exclusive retailers including DSW, H&M, Field & Stream and many more. In the fall of 2018, Capital City Mall will be celebrating the opening of the region’s first Dave & Buster’s as well as a newly renovated Forever 21. In addition to its excellent array of shopping, dining and entertainment offerings, Capital City Mall hosts many free events and programs for the community and families to enjoy year-round. Roth earned his bachelor’s degree in Digital Communications at Lebanon Valley College. A native of Lancaster County, Roth now resides in Harrisburg with his dog, Izzie. PREIT (NYSE:PEI) is a publicly traded real estate investment trust that owns and manages Capital City Mall and other quality properties in compelling markets. PREIT&apos;s 23 million square feet of carefully curated retail and lifestyle offerings mixed with destination dining and entertainment experiences are located primarily in the eastern U.S. with concentrations in the mid-Atlantic&apos;s top MSAs. Since 2012, the company has driven a transformation guided by an emphasis on portfolio quality and balance sheet strength driven by disciplined capital expenditures. Additional information is available at www.preit.com or on Twitter or LinkedIn. Posted Sept. 12, 2018: The Pennsylvania Meetings + Events Best of 2018 readers’ choice awards were announced and Visit Hershey & Harrisburg once again earned the Top Choice for CVB with a population less than 300,000. The following is an excerpt from the article announcing the winners for 2018. Visit Hershey & Harrisburg (VHH) is the winner for Best CVB in Town/Area (Less than 300,000 in Population). “The core strengths for this region continue to be its central location to major population centers along the East Coast with highly competitive pricing as a third-tier city,” says Audrey Bialas, VHH Director of Sales (pictured right). The Visit Hershey & Harrisburg sales division conducts B2B sales within the meetings and conventions, military and family reunions, students and religious travel, and domestic and international tours travel trade market segments. Posted August 16, 2018: Hershey Entertainment & Resorts Company (HE&R) today announced the appointment of Vikki Hultquist to General Manager, Attractions & Entertainment, effective immediately. 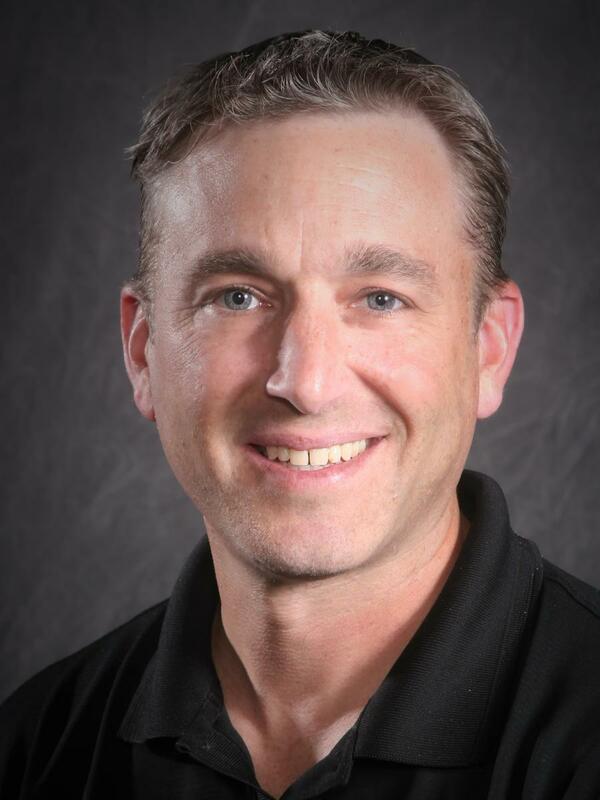 Hultquist has been with HE&R for 17 years in various roles since joining the company in 2001 as Director, Hockey Business Operations and Sports & Entertainment Marketing. 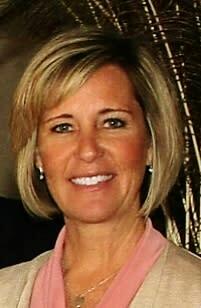 She held various roles including Hershey Bears Hockey Club, Assistant GM; Director, Event Programming; Managing Director, Giant Center; Complex Managing Director, Event Booking, Marketing & Ticketing; Managing Director, Entertainment; and Attractions & Entertainment Assistant GM, Revenue Operations. Most recently, Hultquist served as Attractions & Entertainment Assistant GM, Facility Operations, from February 2015 to August 2018. This position reports to Kevin Stumpf, Vice President, Sports & Attractions, and is responsible for driving demand, managing growth, and successfully executing the business strategy for properties across the Hersheypark Entertainment Complex including Hersheypark, Giant Center, Hersheypark Stadium, Hersheypark Arena and Hershey Theatre. Posted August 10, 2018: According to an article in Pennlive.com by Daniel Urie, Tanger Outlets in Hershey will be the home to the American Girl Doll and the first outlet location the company has opened in the nation. The 2,200-square-foot store will officially open on Saturday, August 11 with an anticipated crowd of 3,500-5,000 according to event planners. American Girl has 20 stores but this is the only outlet store according to Wade Opland, vice president, global retail for American Girl. Posted May 14, 2018: Harrisburg native Stosh Snyder has been named the new Executive Director for Theatre Harrisburg, replacing Allison Hays, who is leaving to pursue interests outside of Central PA.
Snyder has been a frequent performer at Theatre Harrisburg and Hershey Area Playhouse and comes to his new position after a successful career in sales and marketing. Snyder graduated from Shenandoah University in Winchester, VA with a BA in Music Education and previously taught for four years in the Louden County (VA) Public Schools before returning to Harrisburg in 2004. As Executive Director of Theatre Harrisburg, Snyder will be responsible for the overall operation of the Theatre which was founded in 1926 as Harrisburg Community Theatre and is one of the nation’s oldest community theaters. Theatre Harrisburg is also a Core Arts Organization of the Cultural Enrichment Fund. 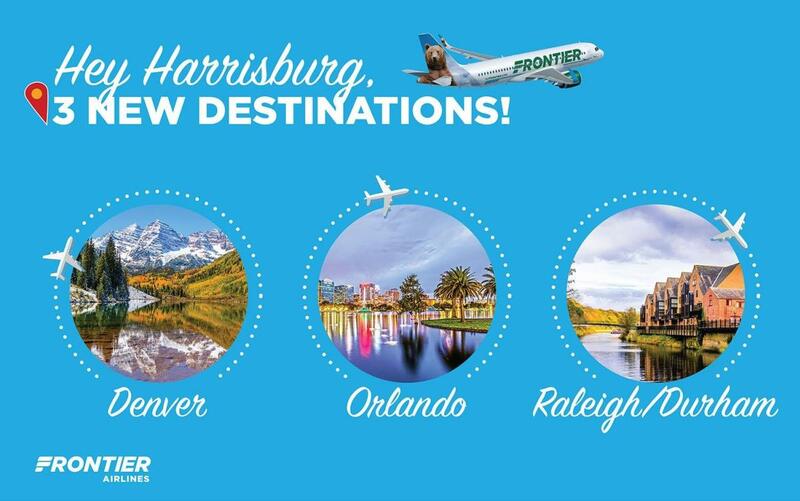 Posted April 4, 2018: Frontier Airlines today announced several new low fare, non-stop flights from Harrisburg International Airport (MDT). The new nonstop service to Denver (DEN) and Raleigh/Durham (RDU) will begin in July 2018, and nonstop service to Orlando International Airport (MCO) begins in August 2018. Read full press release on this announcement including schedules for new service and details on Frontier&apos;s special introductory one-way rates for new flights. Posted Mar. 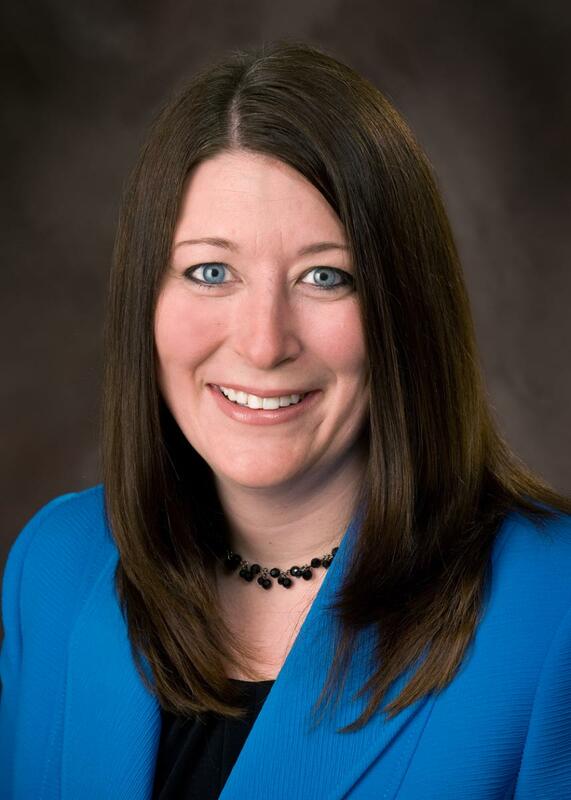 26, 2018: ​Mary Smith, President and CEO of Visit Hershey & Harrisburg (VHH) today welcomed Devan Drabik as the new Director of Marketing and Communications for ExploreHBG, the bureau&apos;s tourism branding program for Pennsylvania&apos;s capital city. 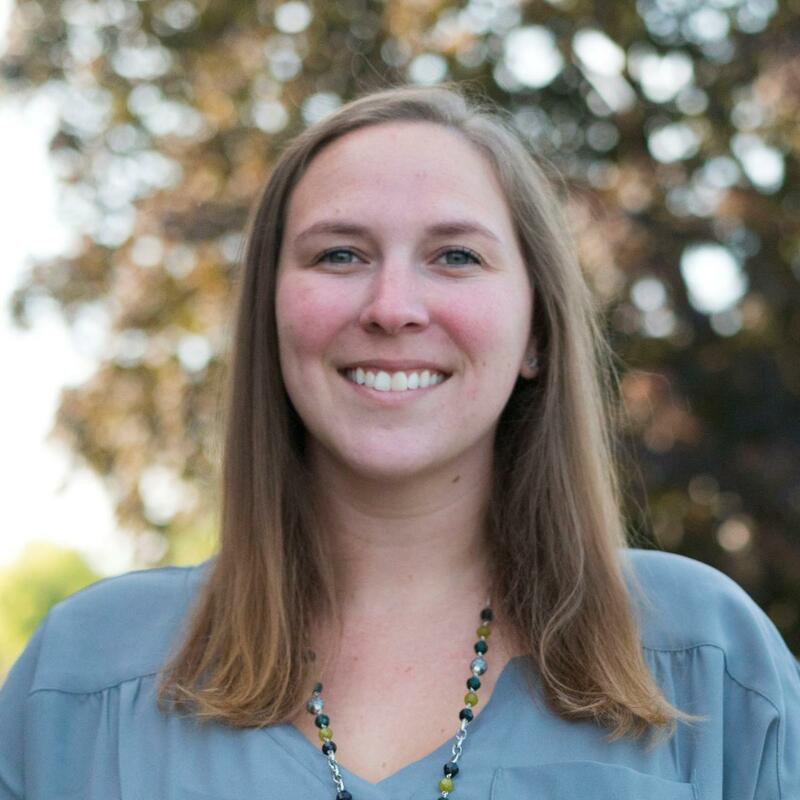 In her new role, Drabik will oversee a broad range of the marketing and communications elements for the ExploreHBG program including: branding, advertising, public relations, social media, and web site development. Drabik previously served as the Director of Business Development for the City of Harrisburg since 2015. Read full press release with more information on ExploreHBG and its new Director of Marketing and Communications. The Hotel Hershey received Four Stars from Forbes for the 34th time. The Spa At The Hotel Hershey received 4 Stars from Forbes for the third straight year. The Circular received the Recommended Distinction from Forbes. The Hotel Hershey received a Four Diamond from AAA for the 38th time in a row which the Resorts Company says is the longest of any hotel in Pennsylvania. The Circular received four Diamonds for the 30th time in a row which the Resorts Company says is the longest of any in restaurant in Pennsylvania. Posted March 20, 2018: Construction has started on the first phase of an expansion plan at Lake Tobias Wildlife Park, including: Walking Trail, Barn, and a Viewing and Feeding Deck for a New Giraffe Exhibit. Posted Mar. 5, 2018: ​The Board of Directors of Hershey Entertainment & Resorts Company (HE&R) recently approved the promotion of Kevin Stumpf to the role of Vice President, Sports & Attractions, effective immediately. For more information contact Kathleen McGraw at HE&R at kmmcgraw@hersheypa.com. Stumpf joined HE&R as a full-time employee in 1996. 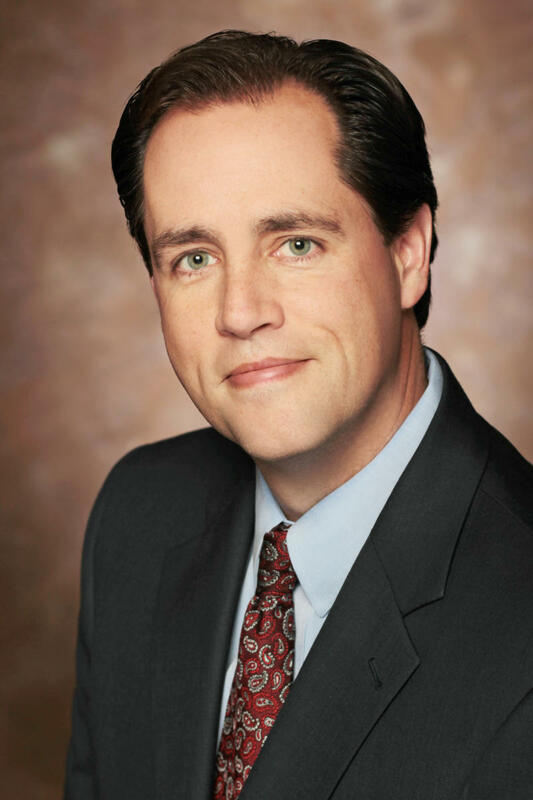 Throughout the years, he has held a variety of roles, including Managing Director of Finance in both the Entertainment and Resorts groups; General Manager, Hersheypark Stadium and Arena; Managing Director of Maintenance for the Entertainment Complex; and Managing Director of Finance - Accounting Processes and Procurement. With this promotion, Stumpf will take on additional responsibility for the management of Hershey Country Club, Hersheypark Camping Resort, and the Downtown Restaurant Group, while continuing to oversee Hersheypark and Entertainment Complex operations. Stumpf will also take on a larger role with the Entertainment Complex’s planning and strategic growth initiatives. Stumpf earned his Bachelor’s Degree in Business Management from Millersville University. Active in various community organizations, Stumpf is on the Board of Advisors for Children’s Miracle Network at Penn State Hershey Medical Center, the Board of Advisors for Pennsylvania Family Support Alliance, and volunteers his time at the Milton Hershey School. Upscale Hotel Indigo Brand Boutique Property Opening in Hershey & Harrisburg Region in April 2018. Posted Oct. 30, 2017: Hotel Indigo Harrisburg - Hershey is slated to open at 765 Eisenhower Boulevard in PA’s Hershey & Harrisburg Region on Tuesday, April 3, 2018, according to hotel management. The Hotel Indigo brand is very unique, with no two hotels the same, according to Kenny Mehta, managing director of business operations at Areya Management. The interior of the one located in the Hershey & Harrisburg Region will be designed based on a local theme and include an onsite bar and restaurant, meeting rooms, boardroom, fitness center and an outdoor pool. Posted Oct. 4, 2017: Street & Smith&apos;s Sports Business Journal ranked Pennsylvania’s Hershey & Harrisburg Region (HHR) as the (#7) best minor league market in the nation for 2017. The HH Region was the only PA market and 1 of only 2 areas within the U.S. Mid-Atlantic to crack the TOP10 list in 2017. "The region is consistently recognized for being a top destination for sports fans from near and far for the same reasons we have become a prime destination for youth sporting events and tournaments," said Gregg Cook, Executive Director for the Hershey & Harrisburg Sports and Events Authority (HHSE). 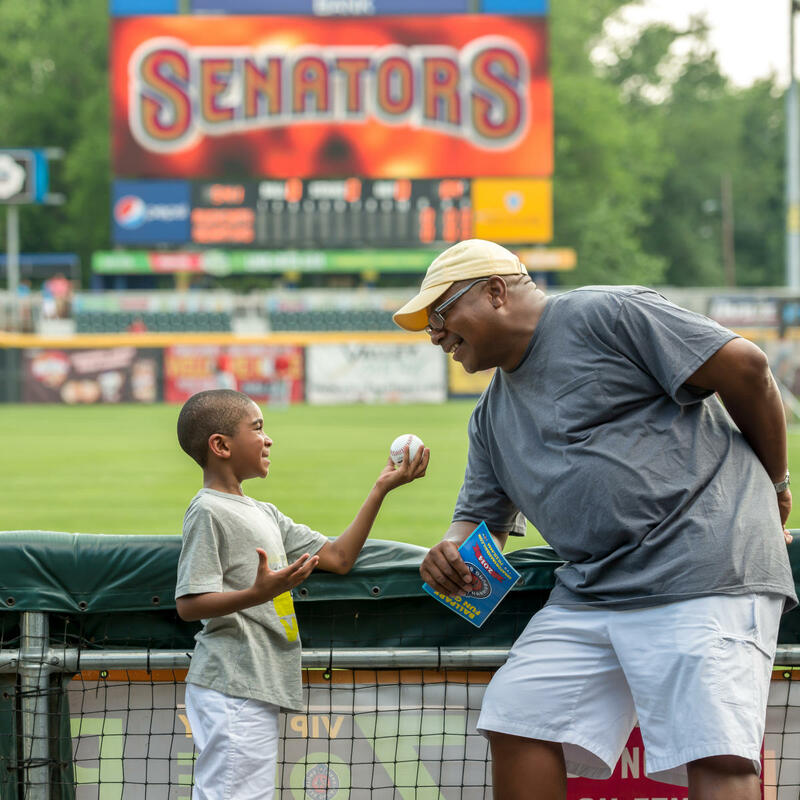 Hershey’s family-friendly atmosphere paired with Harrisburg’s blend of history, culture, and nightlife are significant contributors to the region consistently appearing on this list of top minor league sports market, according to Cook. In addition to having a loyal base of local sports fans, the region is also extremely fortunate to have world-class attractions and amenities with a wide range of affordable lodging and event venues. "All of those factors, plus our central location to the major population centers within the Mid-Atlantic Region, make us one of the most easily accessible markets for youth sporting events and a highly desirable destination for tournament organizers," said Cook. The Hershey & Harrisburg Region previously earned consecutive honors as the #1 Minor League Market in U.S. in 2009 & 2011 from Street & Smith&apos;s Sports Business Journal, which compiles their ranking every two years. Posted Oct. 4, 2017: Starting today, you can rent a bike to zip around Harrisburg, according to a recent report by Wallace McKelvey on Pennlive.com (Oct. 4, 2017). The bike-sharing service Zagster has set up nine stations across the capital where it will rent 55 bicycles. Two more stations are in the works. How does the Bike Sharing System work? Download the Zagster app on your phone and join the Harrisburg bike share. Plug the bike number (For example #1234) into the app and receive a unique code to unlock the bike. Return the bike at any other station. Press and hold the lock button on the keypad until the light flashes. Find the orange tab on the ring lock and slide it down. Place the docking cable from the station into the port on the ring lock. 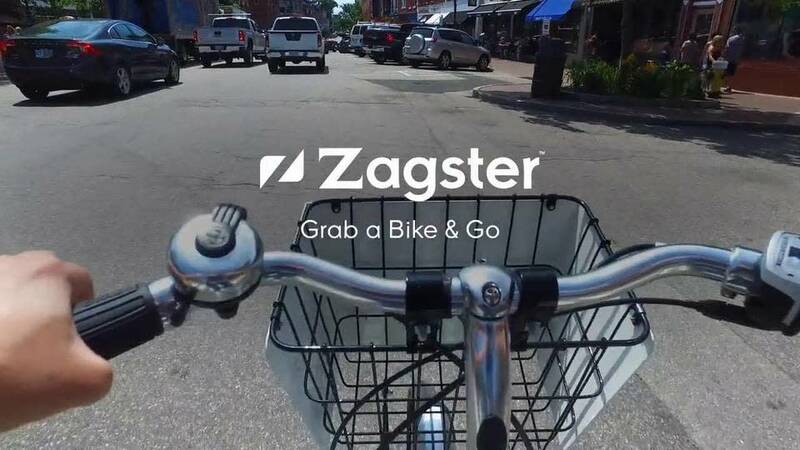 Tap "End Ride" in the Zagster app. The lock can also be used on any public bike rack with the unique code for mid-ride stops. 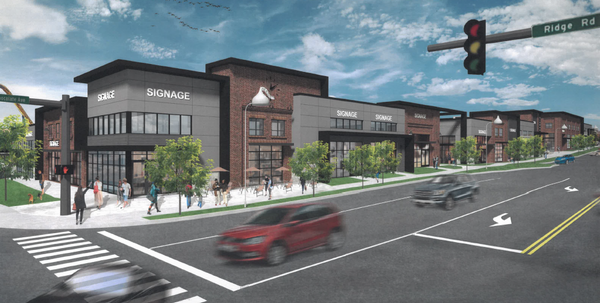 Posted Oct. 2, 2017: After years in the planning stage, the new Hershey Towne Center will welcome dozens of businesses when the 32,000 square-foot complex opens along West Chocolate Avenue in Hershey in 2018, according to leasing agency Bennett Williams Commercial. The new multi-use complex is centered around a former Post Office building in the heart of Hershey and will include two outdoor plaza areas, 400-car parking garage, and a mix of retail & restaurants, according to a report by Sue Gleiter on Pennlive.com (Oct. 2, 2017). Businesses slated to lease space include Primanti Bros. Restaurants, Starbucks, Great Clips, Tropical Smoothie Cafe, and Jersey Mike&apos;s Subs. Lancaster-based TONO Architects and RVG Management & Development Company in Wormleysburg, PA are collaborating on the project. Posted Sept. 2017: Each year Meetings Today opens voting for planners to determine the best hotels and resorts for meetings in North America sorted by region. Hershey Resorts was again named among Readers&apos; Top Choices for Meeting Space in the Eastern U.S. based on the following criteria: quality of meeting space, guest rooms, guest services and amenities, food and beverage service, efficiency and helpfulness of staff, availability of technical equipment, recreational facilities and activities, and overall value and experience. 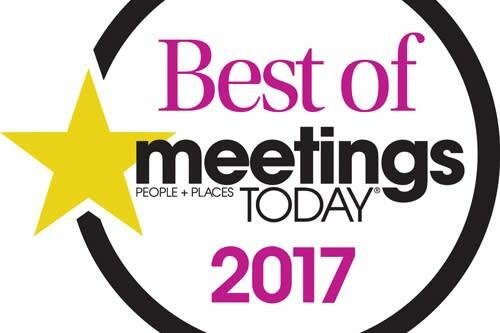 Hershey Resorts was among a total of six (6) facilities in Pennsylvania and the resort has received this recognition a total of 17 times from the readers of Meetings Today magazine. The resort includes Hershey Lodge and The Hotel Hershey, offering more than 900 guest rooms and 125,000 square-feet of flexible function space. The Hershey Lodge is one of the largest convention facilities in PA and The Hotel Hershey is a four-star, four-diamond historic property overlooking the town of Hershey. Recent developments at the resort include renovations of The Hotel Hershey&apos;s West Tower guest rooms, Iberian Lounge and Overlook function room. 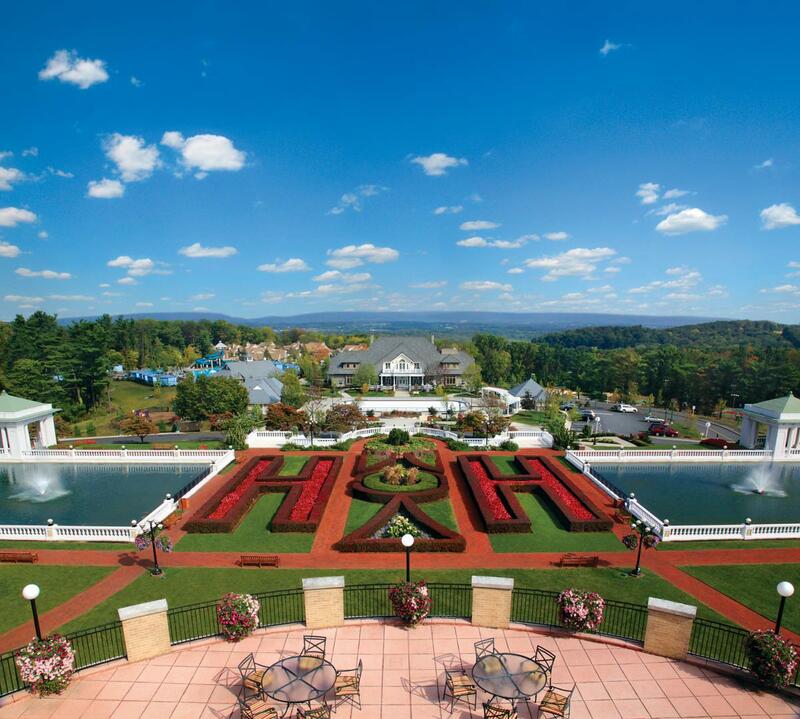 Grand view of the formal gardens and Cottages at Hotel Hershey pictured below. 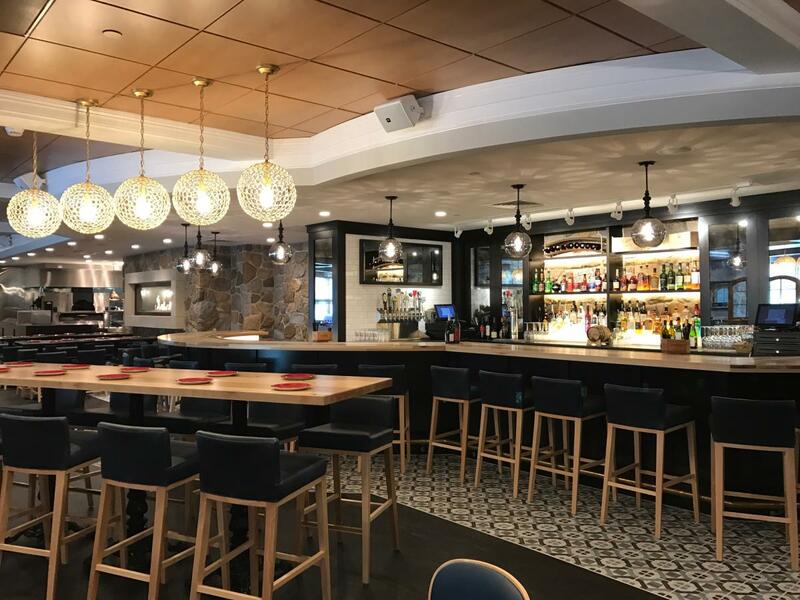 The Hershey Lodge has opened a new contemporary American restaurant Fire & Grain (pictured below) and created Water Works, the new indoor pool complex. For more information on this property, contact Michael Reynoldson, Managing Director of Resorts Sales at 866-726-3387 or MCReynoldson@HersheyPA.com. Posted July 26, 2017: In her new role as Content Marketing Manager, Harrisburg native Jessica Bomgardner (pictured below) will become the voice behind the friendly & energetic destination brand for Visit Hershey & Harrisburg, which represents Dauphin County in Pennsylvania. The Central Penn Business Journal reported that Restin Hospitality LLC, based in the Hershey area, kicked off construction of a Comfort Inn & Suites Harrisburg Airport hotel that is slated to open in spring 2018 near the Harrisburg International Airport. Reporter Jason Scott said it&apos;s the latest hotel project to emerge near the airport — developments that could entice more commercial growth in the Middletown area — and one of several active hospitality sites across Central Pennsylvania as the lodging industry nationwide bounces back from the last economic downturn. See more on his story about the new property and hotel growth. Pennlive.com reported Shaner Hotels recently broke ground on a new Fairfield Inn & Suites Harrisburg hotel in the Middletown area of the Hershey Harrisburg Region, marking the first hotel that will be located at the Harrisburg International Airport. Prior to this property, the nearest hotel to the airport is approximately 7-miles away, according to the article by Daniel Urie. The 4-story hotel is slated to open in mid-to-late summer 2018 and will include a sky bridge connecting the 120-room property to the airport. The project was financed by Kish Bank and will be managed by Shaner Hotels. See more of this article. Posted July 14, 2017: Spooky Nook Sports in East Hempfield Township named Jonathan Snavely director of marketing. He will maintain brand identity, develop marketing campaigns, and assist with developing and accomplishing strategic goals of Spooky Nook Sports, Warehouse Hotel and Forklift & Palate Restaurant. He was employed with Premiere #1 Limousine Service. Abby Dixon was named graphic designer and project manager. 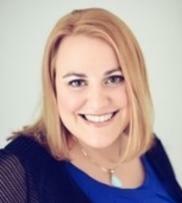 She will manage marketing projects and the Spooky Nook Sports, Warehouse Hotel and Forklift & Palate Restaurant brands. She has a bachelor’s degree from Lebanon Valley College. Posted July 7, 2017: South central PA is one of the best wine regions in the country, according to online travel company Expedia.com. This was first reported by Jason Scott in the Central Penn Business Journal on July 7, 2017. After monitoring social media shares and posts, most notably on Instagram, Expedia rated U.S. wine regions based on six criteria: wine selection, dining options, activities, buzz factor, transportation and social media presence. The mid-state was the only wine region in the Northeast to be featured in the company&apos;s recent ranking. The so-called taster&apos;s tally for South Central PA included a mix of threes and fours out of a possible five emojis, which were used instead of stars for ratings in each category. The Expedia report noted that the mid-state has more than 40 wineries. 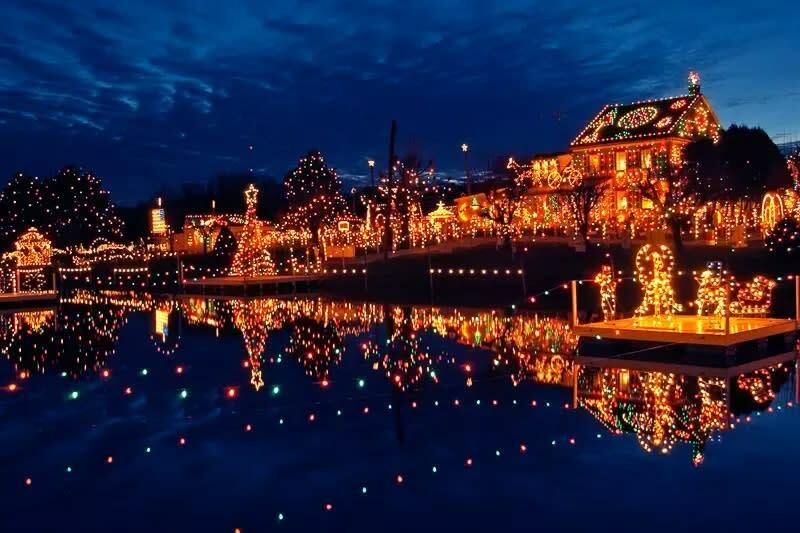 However, it highlighted only a few, including The Vineyard and Brewery at Hershey and Spring Gate Vineyard, both in Dauphin County. The article also cited Harvest Seasonal Grill & Wine Bar in Susquehanna Township as a good farm-to-fork dining option, as well as Hershey&apos;s Chocolate World and Premiere #1 Limousine. Posted July 1, 2017: The PA Farm Show Complex and Expo Center announced SAVOR is the new exclusive catering and concessions provider for the complex, beginning July 1, 2017. Over the last 30 years, SAVOR has catered receptions for private small gatherings to 30,000 plus events. They offer food and concession services to more than 140 locations throughout the United States, Canada and Europe. SAVOR is looking to tailor their operations, menus, and supply chain to support the local producers and to partner with the businesses who share the PA Farm Complex’s commitment to ‘PA Preferred’ suppliers for quality, sustainability, and freshness, according to Scott Campanella, Senior VP for SAVOR. SAVOR wants to re-imagine the concession operations with an eye on PA Agriculture and has introduced Executive Chef Stephanie Gelberd who previously featured Pennsylvania farm products at the café at Phipps Botanical Garden in Pittsburgh. See the original article posted HERE. 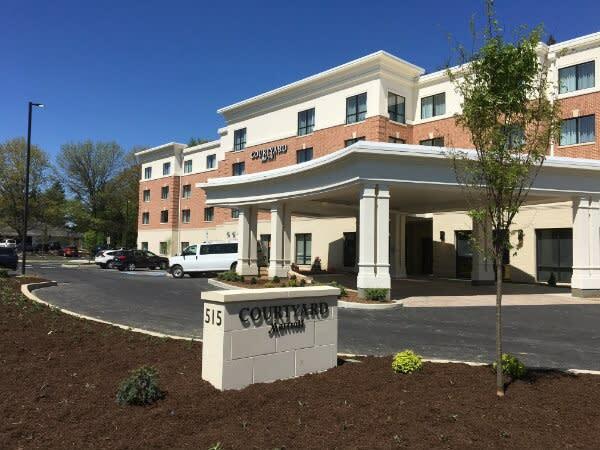 Posted June 2017: A new 120-room Courtyard by Marriott opened on Chocolate Avenue in Hershey in June 2017. The four-story hotel, owned by Bears Creek Hershey Hotel LLC, will employ 26 full-time staff. According to local newspaper Pennlive.com, this property was a joint development between Shaner Hotels and Chafia Capital Partners, a real estate investment and private equity firm. The property will be managed by Shaner Hotel Holdings LP, and was financed by CNB Bank. Posted May 1, 2017: Bill Hendrix was promoted to the position of general manager of The Hotel Hershey on May 1, 2017. Hendrix has been in leadership roles at the property for more than a decade, which includes his most recent position as the hotel’s assistant general manager. The Hotel&apos;s past general manager, Brian O’Day announced his retirement that would begin in April 30, after 14 years of service as general manager at The Hotel Hershey. In his new position, Hendrix will oversee the entire operation of The Hotel Hershey. He will also oversee the operation of Hershey Laundry & Dry Cleaning. Hendrix has more than 23 years of rooms, housekeeping and front of house experience in the hotel and resort industries throughout the United States. Prior to joining Hershey Entertainment & Resorts Company, Hendrix spent five years at various Ritz-Carlton properties. He also has seven years of experience with Four Seasons at properties including Four Seasons Hotel at Beverly Hills and Four Season Resort and Club in Irving, Texas.